This might just be the most colourful place on Earth! 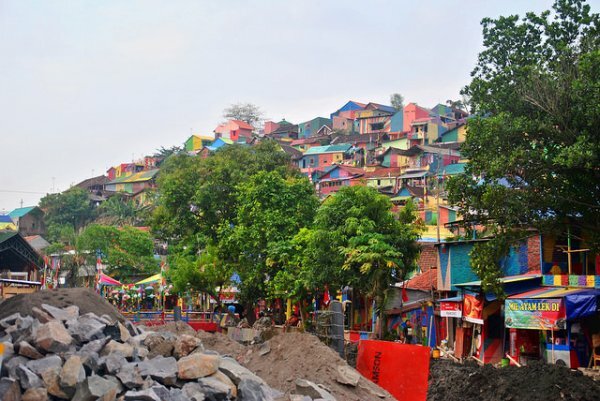 Kampung Pelangi is a small town in Indonesia which was recently transformed into a must-visit tourist attraction. The village used to be a “slum” and residents were facing eviction until a local high school principal suggested that it should get a makeover. 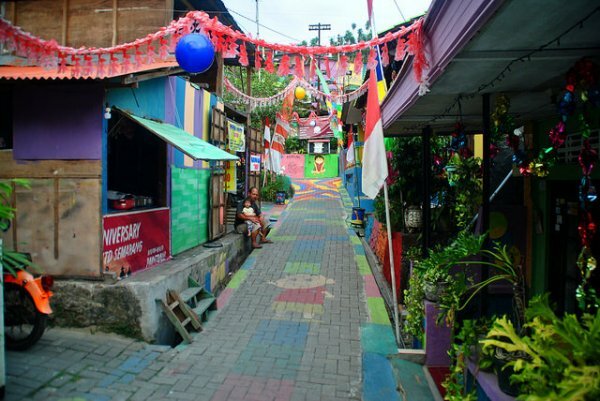 The Government obliged and invested approximately 300 million Indonesian Rupiah (approximately $22,500 USD) – the result is a rainbow collection of houses, bridges and buildings. 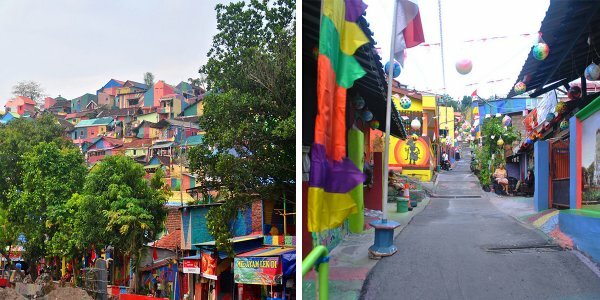 Slamet Widodo, a 54-year-old high school principal came up with the idea to paint the town after being inspired by other Asian areas that had been revamped in a similar fashion. “The idea to create Kampung Pelangi came after we saw the beauty of Kampung Warna-warni and Kampung Tridi in Malang, and later Kampung Kali Code in Yogyakarta,” he said. 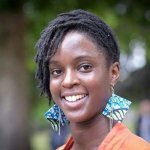 The project took just over a month to complete and was unveiled at the end of April. 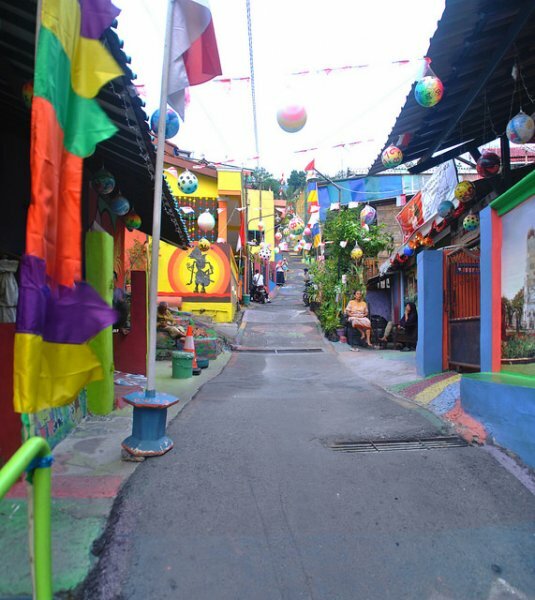 Since then, Kampung Pelangi has received widespread attention and has become a popular tourist destination. Photographers just can’t seem to get enough of the sea of bright colours, 3D drawings and beautiful murals splashed all over the village.
? Cards Against Humanity Buys Portion of Border Wall to Halt Trump Activist Photographs Ex-Lab Rats And Mice Going Outside For The First Time, And It’s Beautiful ?